Ducted air conditioning systems provide an elegant solution for air conditioned comfort. 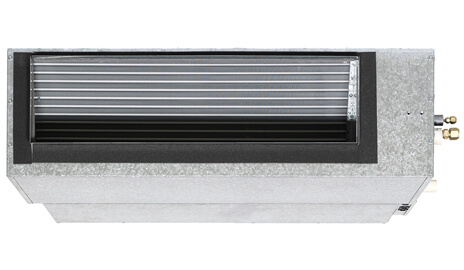 All that is visible inside your home is the controller, the return air and discharge grilles. TC AIR can tailor a solution for a new home or help you find the best solution for an existing home. Australian Made: Indoor units are specifically designed and manufactured to Australian standards to manage our harsh summers. Night Quiet Mode: While your sleeping it reduces the outdoor noise levels and then in the morning it automatically switches to normal operations. Wide Capacity Limit: Continuous operations on the hottest summer days or the coldest winter days. R22 Retrofit Capability: A cost effective and convenient upgrade from an existing R22 ducted system without having to replace the field piping. Inverter Technology: Like the accelerator of a car, the inverter system gently increasing or decreasing power – reaching the desired temperature quicker and then steadily maintaining it without fluctuations. 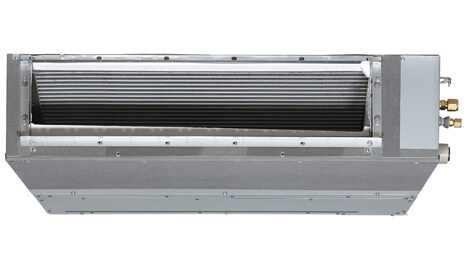 Industry Leading Energy Performance: With with a redesigned cross-pass heat exchanger, a DC fan motor plus improved refrigerant control technology. Designed to be compact and efficient, the Daikin Standard Inverter series is perfect for tight roof space installation. Ultra-Compact: For easier installation the 140 and 160 Class is housed in a compact indoor casing. Fan Settings: Depending on your ductwork configuration there are 15 different fan speed settings to suit. 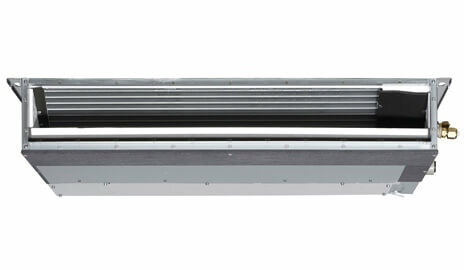 Improved Energy Efficiency: Due to the use of a DC Fan motor, cross-pass heat exchanger and greater outdoor coil passes. Inverter Technology: Like the accelerator of a car, the inverter system gently increasing or decreasing power. The air conditioning system reaches the desired temperature quickly and then steadily maintains the temperature without fluctuations. With a standard 4 or 5 zone control system you might not have a choice – as the zone can combine multiple rooms. You may be using only three rooms but you’ll be paying to cool or heat seven. Another problem is most systems have a single thermostat normally located in either the hallway or the living room. As upstairs and west-facing rooms heat up faster you end up with hot and cold spots throughout your home. MyAir has solved the problem. More zones plus more airflow control equals more comfort and more energy efficiency. Plus as an added bonus the control panel doubles as a tablet to check your email, look up recipes or anything else you use your tablet or iPad for. Specifically designed for installations where ceiling space is limited, the Daikin Slim-Line Ducted series has unrivalled flexibility and design possibilities. Not only ideal for narrow ceiling spaces but also under the floor, this ducted system meets the challenges of current commercial and apartment developments. Built-in DC Condensate Pump: Equipped as standard with a 850mm lift. Flexible Return Air: Rear or bottom suction return options allows for more flexibility in installation. Automatic Airflow Adjustment: Fan speed adjusts automatically to suit your duct design for ultimate airflow distribution. Design Flexibility: The DC fan has a static pressure of 150Pa and up to 75m (100 Class) of available pipe run to allow for various design layouts. Slim-Line Indoor: The low profile design of 245mm height ensures clearance in most low roof spaces. The Bulkhead range is designed for truly discreet installation. Team this with whisper quiet operations and you’ll have a truly subtle air conditioned interior. The indoor unit fits flush into the ceiling with only the suction air and discharge grilles visible inside your home, leaving your floors and walls free for furniture, decoration and fittings. Standby Power Function: Automatically reduces energy consumption when the system is not in use. Whisper-Quiet: Noise levels are truly discrete and whisper quiet at 35dBA (25 Class Model). Ultra Compact: Measures a small 200mm high x 620mm deep. Auto Fan Speed: For greater efficiency an automatic optimal fan speed is selected to suit the set temperature. All Daikin air conditioners exceed MEPS requirements, it’s Daikin’s commitment to providing energy efficient, reliable, quiet and easy to use air conditioning systems.